This is a new product that isn't expected to ship until mid-April. Pre-orders will be filled first. 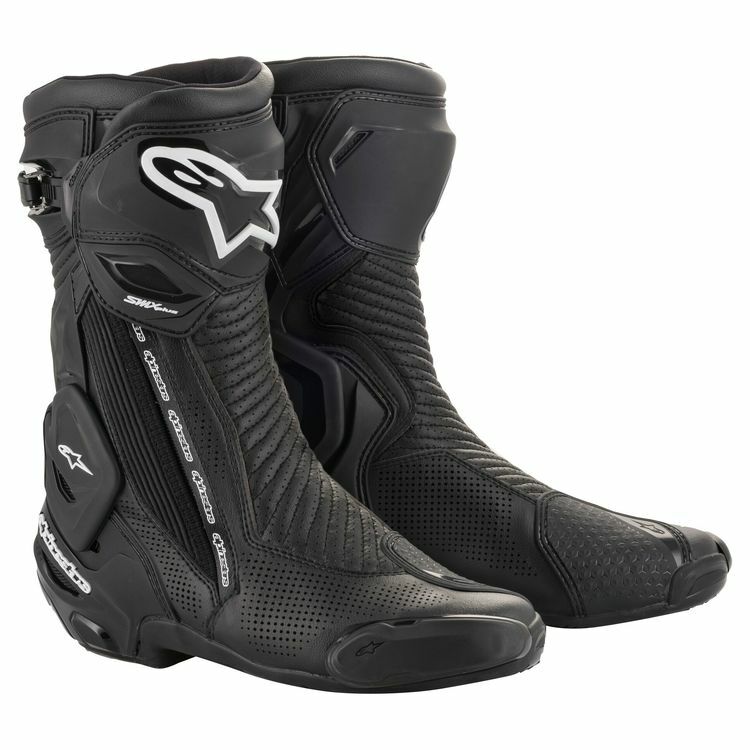 The Alpinestars SMX Plus V2 Vented Boots are the next generation of the popular SMX Plus line, known for track day performance and protection. A high shin plate helps guard against impacts from your foot pegs. Ankle protection comes in the form of Alpinestars' signature Multi-Link Control system that helps keep your ankle from moving in ways it is not supposed to while still giving you enough range of motion to operate foot controls. A wide heel counter wraps around the back of your foot with shock absorbing padding. A replaceable heel slider keeps you moving in the event of a crash. Accordion stretch zones at key areas provide flexibility and improved fit. Perforation throughout the boot with strategic vents in TPU help flow air to your feet. With replaceable parts and protective design, the Alpinestars SMX Plus v2 Boots will be a reliable track boot for many seasons.